Caption slip reads: "Photographer: Hecht. Date: 1957-07-15. Reporter: McMahon. Assignment: Matula Case Teamster Trial. 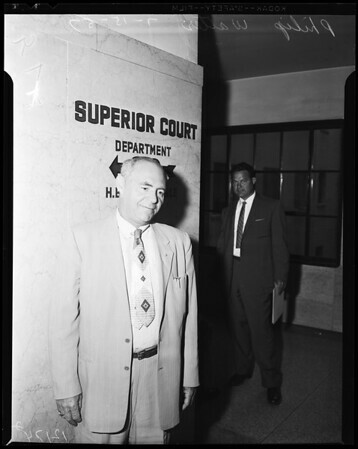 50,51: Philip Walter (indicted in the case)."